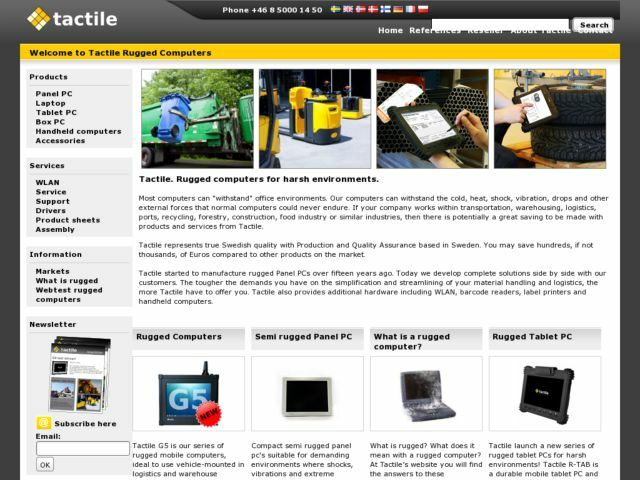 Tactile is a Swedish manufacture of rugged forklift computers. Tactile have more than 15 years of experience in developing, producing and working with industrial electronics. Our Swedish developed computers are used as a forklift computer, industry pc, picking cart computer, vehicle computer or in any other though environment where high reliability is necessary. The site is 100 % Django and so is all our internal web based systems.